Take the Orange or Blue Line to State Street Station. For more information about public transportation, visit the Massachusetts Bay Transportation Authority web site at www.mbta.com. Heading southbound on Interstate 93 Boston, take Exit 24B-A toward Gov’t Ctr/Airport. Take Exit 24-A toward Gov’t Ctr. Turn left onto Surface Rd/John F. Fitzgerald Surface Rd. Turn right onto State Street. 53 State is on the left. Heading northbound on Interstate 93 towards Boston, take Exit 23 toward Government Center. Turn left to take the Gov’t Center ramp toward Faneuil Hall/Financial District/Aquarium. Turn left onto Surface Road/John F. Fitzgerald Surface Road. Turn right onto State Street. 53 State is on the left. Follow the Massachusetts Turnpike /Interstate 90 East towards Logan Airport to Exit 25 South Boston. At the top of the ramp, bear left towards Seaport Boulevard. Keep left to take the Seaport Blvd ramp toward Downtown. Turn slight right on to B Street. Turn left onto Seaport Blvd/Northern Ave. Continue to follow Seaport Blvd. Turn right onto Atlantic Ave. Turn left onto State Street. 53 State i s on the left. Take Storrow Drive East to Leverett Circle and follow signs for Interstate 93 South/Logan Airport. Once on Interstate 93 South, follow directions from “Points North”. Follow the signs towards I-90 West – Ted Williams Tunnel. 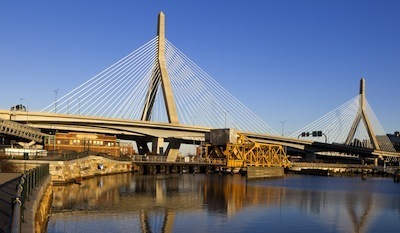 Take the Ted Williams Tunnel toward I-93. Take Exit 25 toward South Boston. Keep left to take the Seaport Blvd ramp toward Downtown. Turn slight right on to B Street. Turn left onto Seaport Blvd/Northern Ave. Continue to follow Seaport Blvd. Turn right onto Atlantic Ave. Turn left onto State Street. 53 State is on the left.